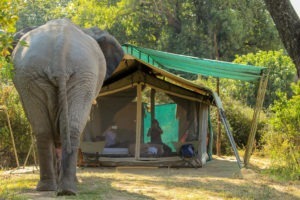 Somalisa Expeditions exudes adventure and brings you face to face with Africa’s giants. 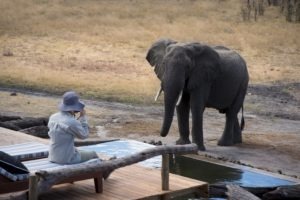 Sit in your armchair and let nature venture to you, with ellie’s drinking from the concrete trough at your feet, trust us you will literally hold your breath! 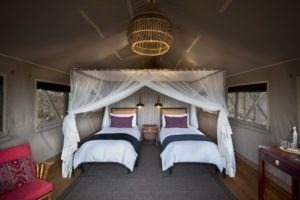 Capturing the ambiance of a mobile camp but with all the trimmings, Somalisa Expeditions offers both authenticity and comfort. Slightly more grounded with common areas on the land giving you a closer connection to the true wilderness experience, without sacrificing any luxury. 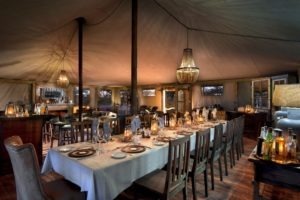 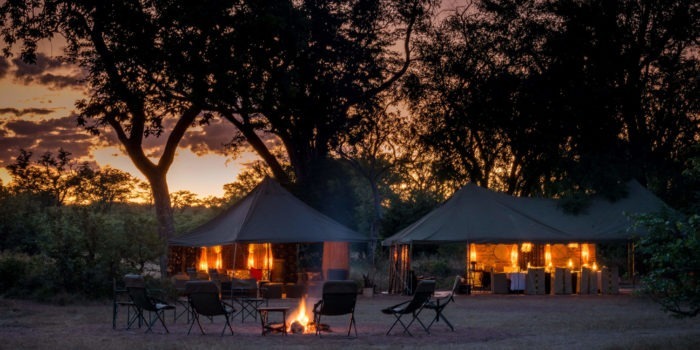 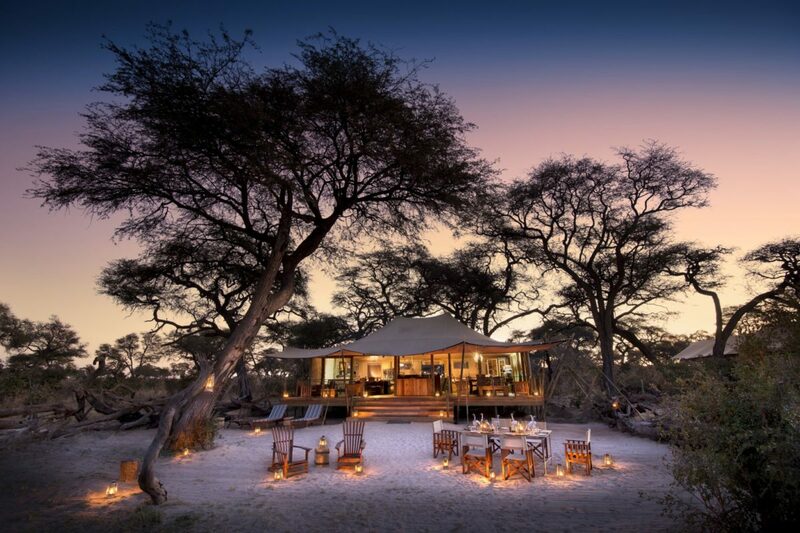 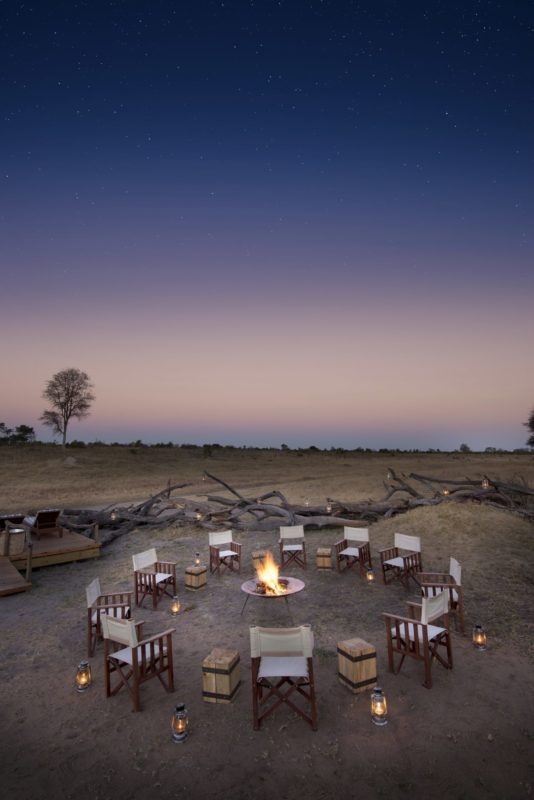 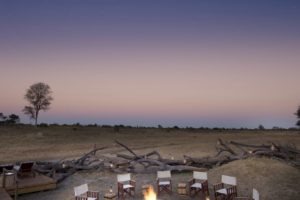 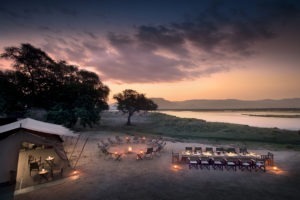 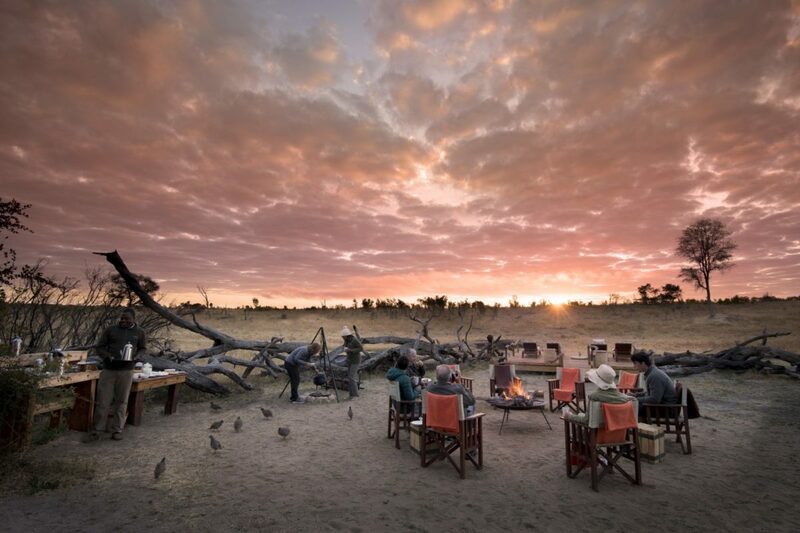 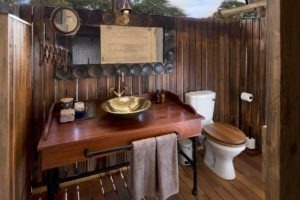 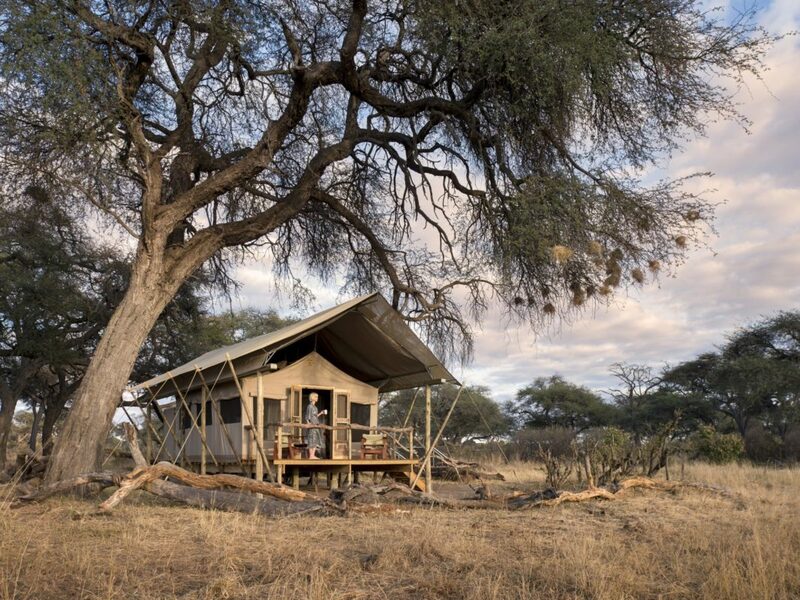 Somalisa Expeditions is within a private concession of the Hwange National Park and amongst a cluster of acacia trees in a game rich open area commonly called a ‘vlei’. 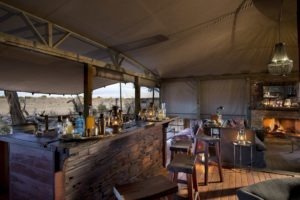 This camp is mostly on ground level and overlooks a much-frequented waterhole, especially popular with elephants during the dry season. 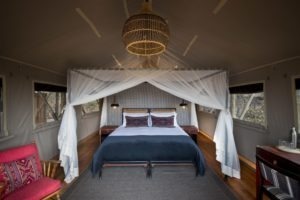 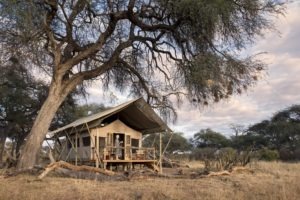 Being in a private concession it offers a wide range of activities, including walks and night drives, which is great for predator action and other nocturnal animals, such as the smaller cats, hyena and the like. 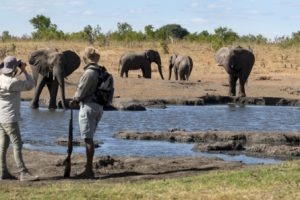 In the dry season between May and September, Hwange’s waterholes can provide some of the best game viewing, especially elephants as literally hundreds of them congregate at one water source! 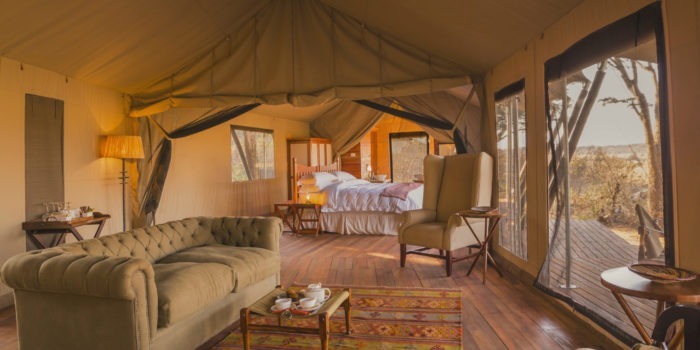 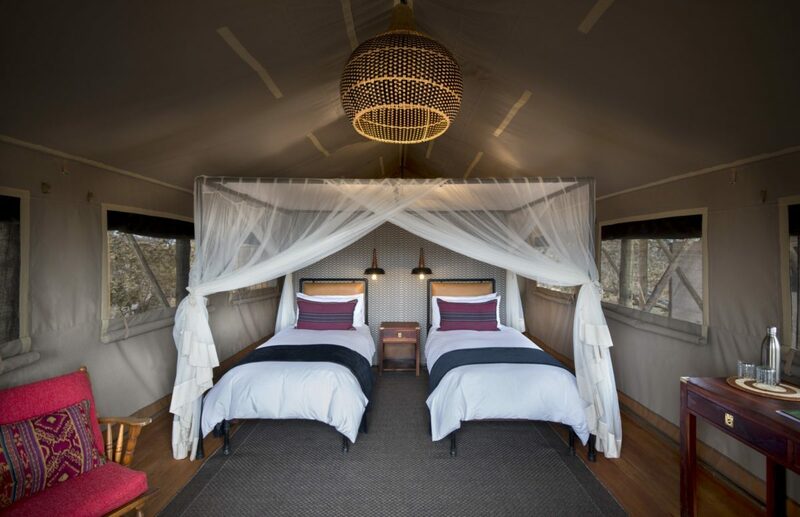 There are seven twin tents, in the traditional east Africa style, basic but very comfortable and elegant. 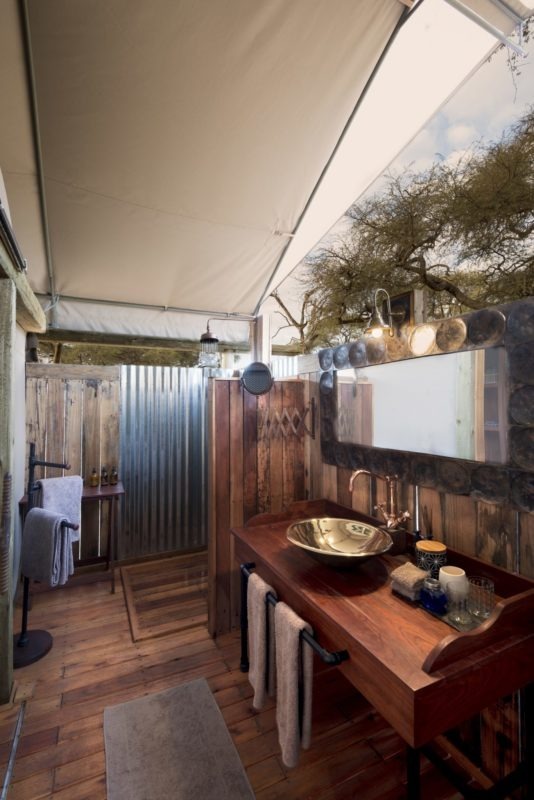 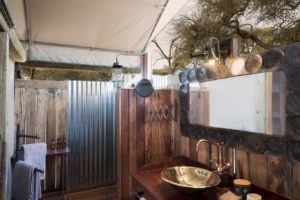 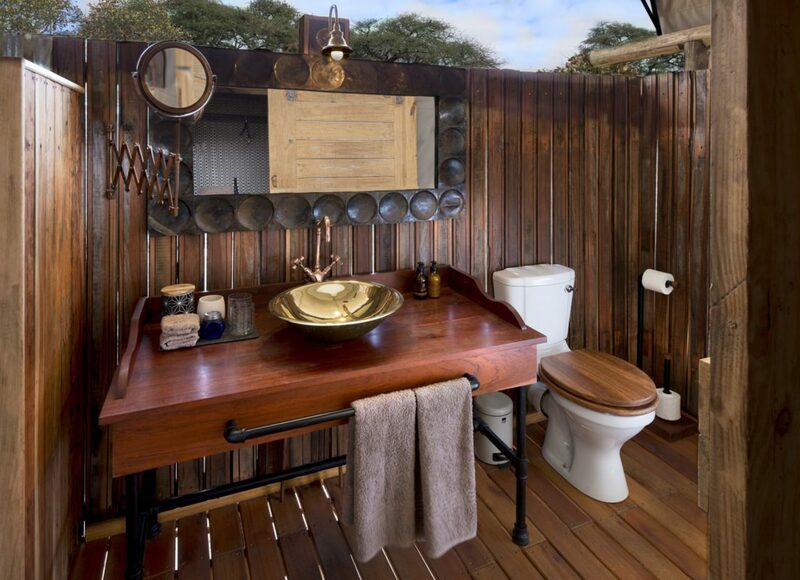 Each tent has an en-suite outside bathroom with hot shower, flush toilet and basin. 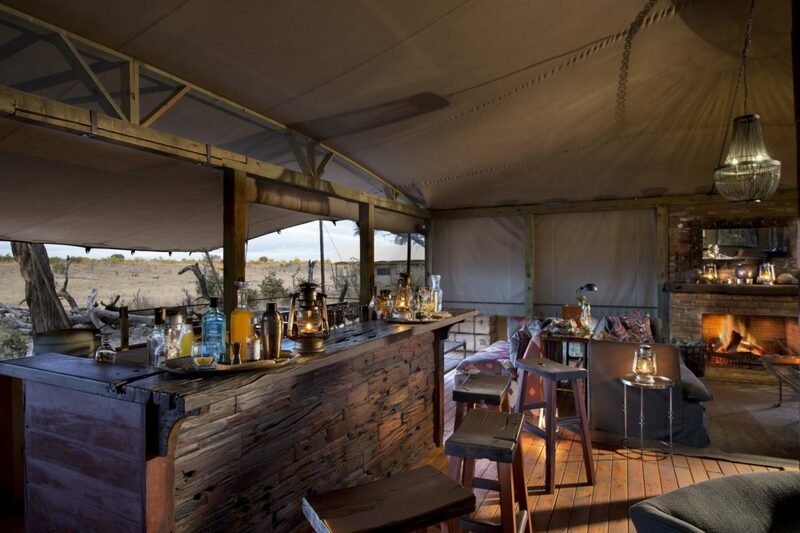 At the front of each tent is a deck, with great views across the open plain. 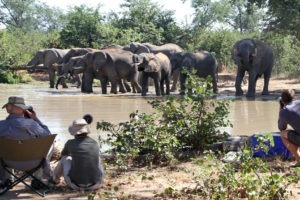 Game drives are normally very productive when visiting the numerous water holes during the dry months. 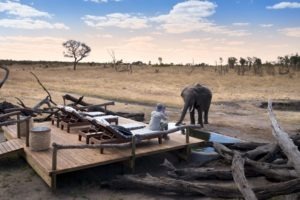 A large variety of wildlife can also be viewed all year round, including the BIG 4 (no rhino) and some lesser common antelope species, notably roan and sable. 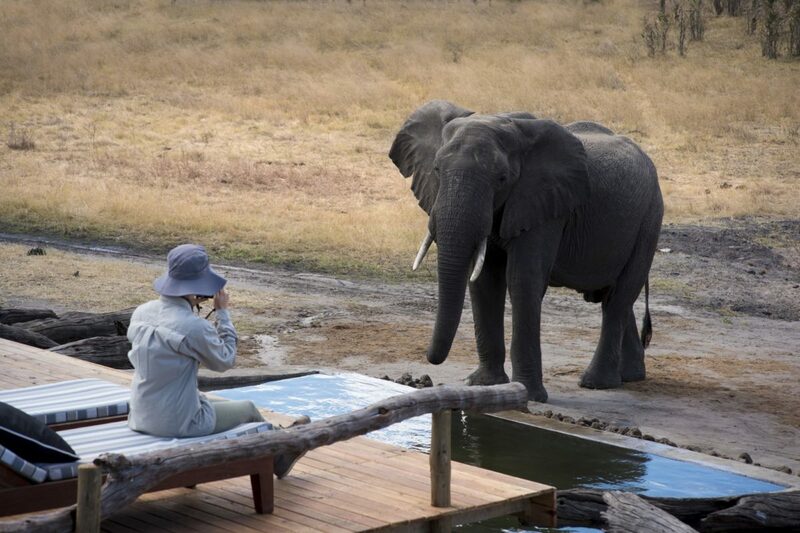 A walk with the resident is also recommended subject to age restrictions and if permitted by the grass cover. 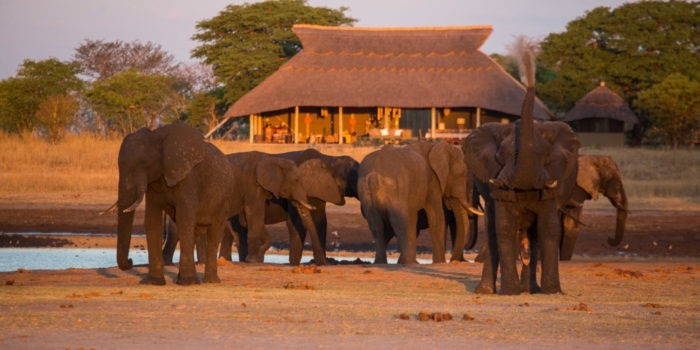 In the heart of Hwange, on a private concession and on an open ‘vlei’! 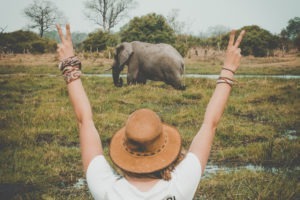 Elephant experience at the deck and water trough second to none! 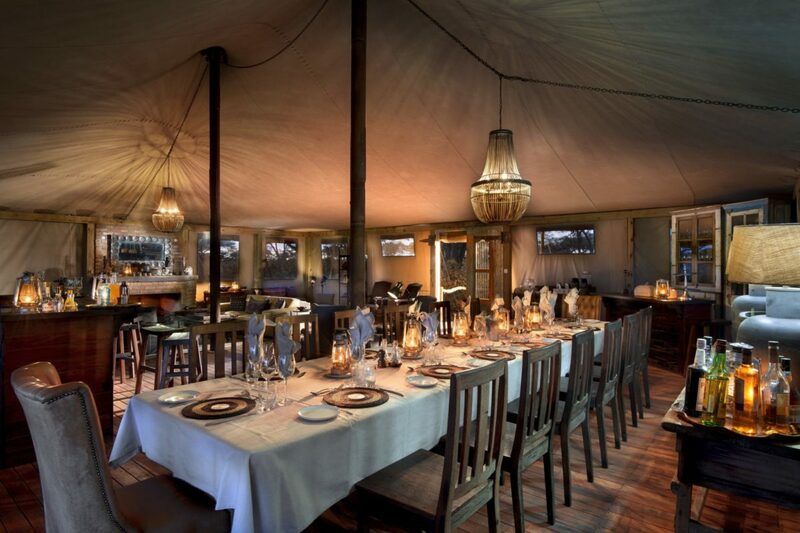 Elegant east African style tents with a modern twist. 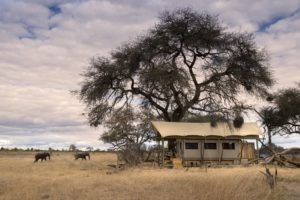 Night game viewing for predator action within a National Park.